Saint Francis, in colorful and durable PVC, houses a 16GB flash drive and comes with a handy clip so you can bring this saint with you wherever you go. 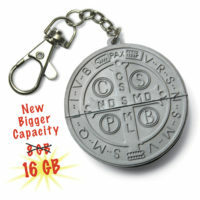 As a young man Saint Francis of Assisi had all of the riches and pleasures that life had to offer. When he went off to find fame and glory as well he had an encounter with God who called him to a different life. 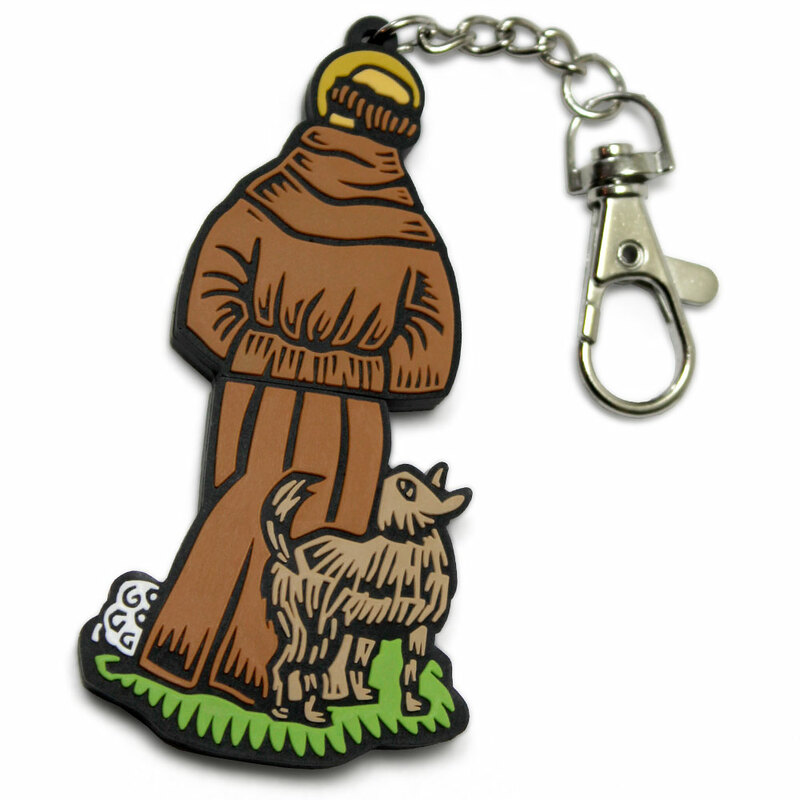 In response Saint Francis gave up everything, even stripping down to his hair shirt and walking away from his home, his family and his considerable wealth. Saint Francis lived as a beggar usually sleeping out in the open and working for the meager necessities that he and his companions needed. His rule was to follow the biblical instructions to sell all and give to the poor, to take nothing for the journey and to pick up his cross daily. In spite of this hard life, many people asked to join him. 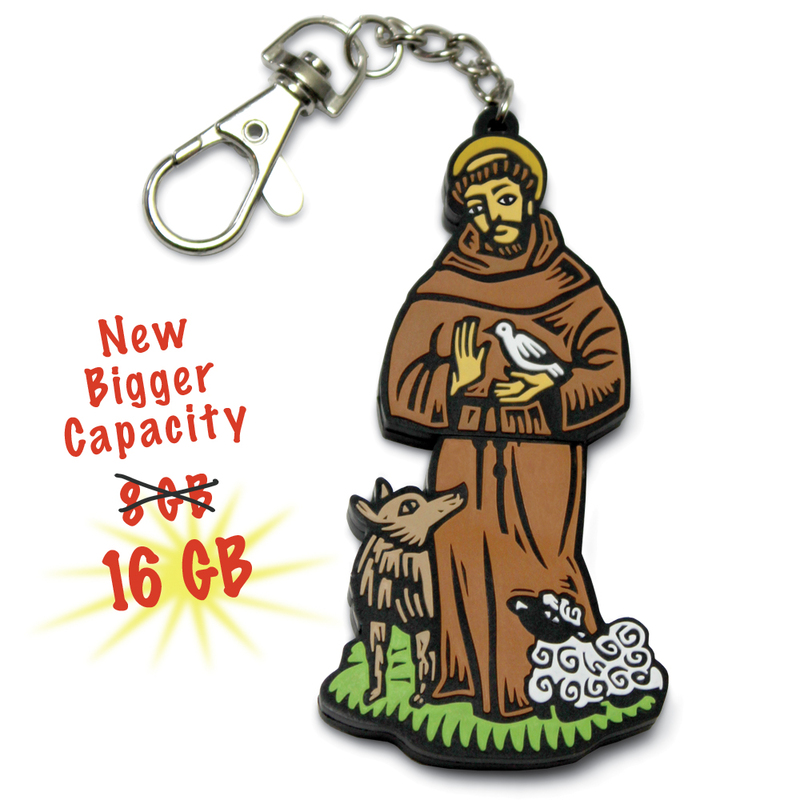 The movement rapidly grew to over 5000 Franciscans. Barefoot and dressed in sacks, they preached throughout the neighboring countries bringing their unique simplicity and joy. At first people understandably thought Saint Francis and his companions were crazy, but their joy was so contagious that people quickly revised their opinion. Even the animals loved Saint Francis. 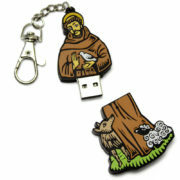 One particular wolf who had been attacking the townspeople received a talking to from Saint Francis and mended his ways becoming a favorite pet. Saint Francis died due to the rigors of his life at the age of 45 on October 4, 1226. 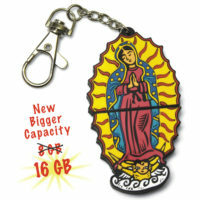 Our Lady of Guadalupe, in colorful and durable PVC, houses a 16GB flash drive and comes with a handy clip so you can bring the Blessed Mother with you wherever you go. 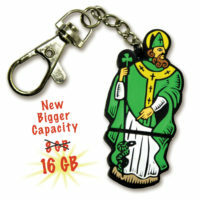 Saint Patrick, in colorful and durable PVC, houses a 16GB flash drive and comes with a handy clip so you can bring this saint with you wherever you go.